Sitting out on the North Shore Rugged Trail last week enjoying the arrival of dawn I was surprised to see three beacons looking west. I recognized two of them, the beacon at Three Mile point (3 km away), and in the distance Killbear (10 km away), but there was a third between the two of them. 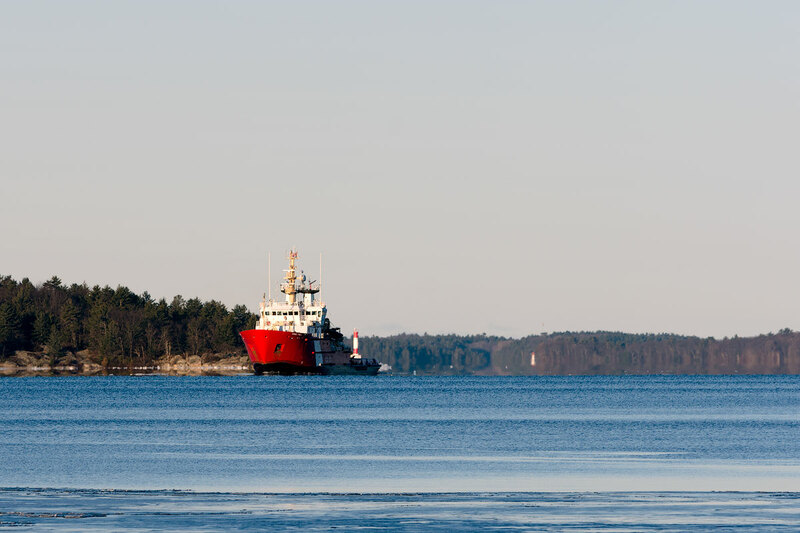 Within minutes I was able to confirm that it was the Samuel Risley returning to port at the Parry Sound Coast Guard base for the first time this year. I guess boating season has officially started in the Parry Sound area. That’s the beacon on Killbear Point in the distance. The Samuel Risley heading out of Parry Sound on the 29th. I don’t know where it was headed but the navigation aids on the stern may be a hint. 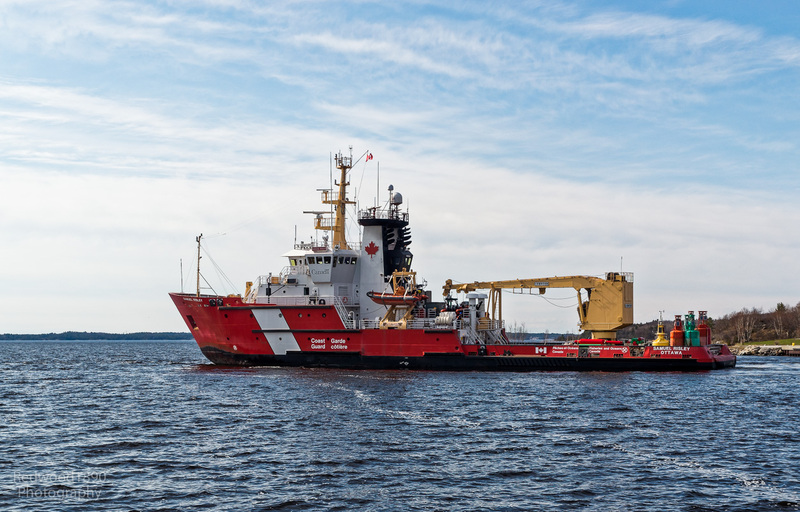 I have been told that the Coast Guard is responsible for the commercial navigation aids in Georgian Bay with private contractors responsible for the small craft navigation aids. The federal government plans to close the Coast Guard Radio Station at Thunder Bay and move the services it provides to Sarnia by 2014. Thunder Bay Coast Guard Radio is a considered by many boaters to be a vital communications link for marine traffic on Georgian Bay. The plan is that Sarnia will monitor VHF Channel 16, the International Distress Channel, for the Canadian waters of Lake Superior, St. Mary’s River, the North Channel, Lake Huron, Georgian Bay, the St. Clair and Detroit Rivers, Lake St. Clair, and the western portion of Lake Erie as well as broadcast important weather and safety information. CAW Local 2182, which represents Thunder Bay Coast Guard Radio, is presently mounting a public awareness campaign, to state that moving these communications services further away from the areas they serve as a cost cutting measure may put lives at risk. They are asking that boaters who feel strongly about this issue write their MP.